Â· The closure of over half of the Post Office cash handling operation, whilst exiting the external market (announced April 2016). 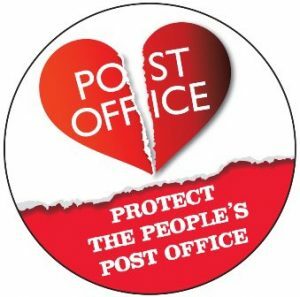 Dave Ward, general secretary of the CWU, said: â€œWe face the most serious situation in the history of the Post Office. Taken together, recent announcements from the board demonstrate there is no viable plan to secure the future of our membersâ€™ jobs or this great British institution. The board should hang their heads in shame and we reiterate our call for them to resign with immediate effect. â€œThe role of the Government in this crisis must also be highlighted. We are meeting Sajid Javid the Business Secretary who is responsible for the Post Office early next week and will make it absolutely clear that we will not sit back and see another British institution go the same way as the steel industry. We will press him to hold a summit meeting of all stakeholders to consider an alternative strategy for the future of the company. CWU will announce a ballot timetable shortly which will cover 3,500 people working across the Post Office.